Assessing your learning needs is not something to be worried about. 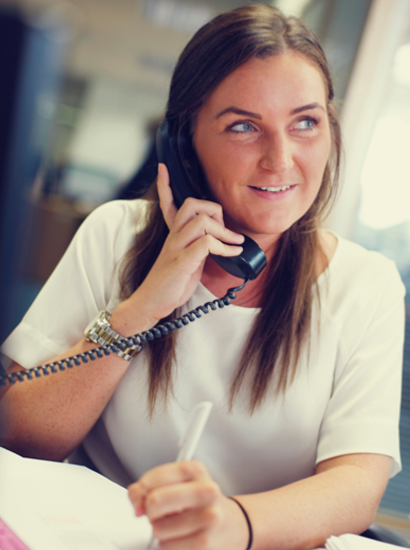 Our friendly team are always here to help to guide you through the process. The first step is getting to know more about you and how you learn, before exploring how we can provide assistance to help you study more effectively. “I found the whole experience really straightforward. The assessor was there to understand the difficulties I had and to identity solutions. They were friendly, understanding and knowledgeable and able to recommend equipment and support to make my studies as easy and pain-free as possible. University of Manchester. PG Med Education. Glad our services have assisted your studies. Thank you for your feedback. University of Bournemouth. Ba Anthropology & Sociology. Falmouth University. Marine & Natural History Photography. “I dreaded my DSA interview as my physical and psychological problems include fatigue and communication fears, but the interview and the report were brilliant 🙂 and I am SO SO grateful to my Needs Assessor, from Broadbent & Co.. They were incredibly understanding and helpful ; because they were so well informed about medical and mental health matters, and how they might affect studying at Uni, they were able to help me through all the questions and they wrote a long, very accurate and detailed report. They made recommendations for equipment that helped me enormously – and will help me for years to come. Everyone involved in my assessment and those who provided and delivered the equipment were really friendly and understanding. The equipment was very high standard. I’m SO glad I was persuaded to apply for a DSA – do it!!! it will change your life for the better and you will get an amazing level of support. University of Cumbria. Illustration & Fine Arts. Glad our service and assistance has made a huge difference to you. Thank you for your feedback. It is invaluable to us. “My DSA process was the smoothest thing and I got all the relevant support put in place just before I started university. Your feedback is greatly appreciated, thank you. “Broadbent & Co have been fantastic. They have provided good support throughout the whole process. I had the pleasure of receiving help from them during my undergrad, and now again for my masters. They are lovely and polite, and are always happy to help. University of Huddersfield. P.G. Forensic Science. Glad you have benefited from our service. Thank you for your feedback. Much appreciated. “I could not be more grateful for the wonderful support I have received through Broadbent and Co.
University of Manchester. Med Psychology of Education. Thank you for your lovely comments and feedback. This is greatly appreciated to us. “I am very happy with the help I received from the service. The assessment was set in a nice, friendly environment and the way the assessment was laid out was very organised. I learned everything that was being put in place for me and I’m very thankful for what I have received because it’s helped me a lot. University of Bolton. Fine Art. “The assessor was very helpful and understanding and also allowed me to message him after the initial assessment to update him on some things that I had missed out. “I had an amazing experience with Broadbent & Co.
My assessor was fantastic, super professional and knew what to ask and say, very kind. They made me feel very comfortable and relaxed. Altogether, fantastic company, centre and employees. Your feedback and lovely comments are much appreciated, thank you. “Thank you so much for all your help and support during my assessment. Your kindness, knowledge, expertise, understanding and your amazing way with people shines through. Felt very seen, understood and heard. Thank you for your lovely comments, greatly appreciated. “Absolutely first class. I was very nervous, but the assessor made me feel welcome and that they were there for me. They guided me through, asking questions to fully ascertain my personal needs. Thank you for your feedback. Glad our services have made a difference to your studies. “Have to say I highly recommend this centre. My assessor was lovely a real credit to the company. Their knowledge of my disability was amazing. Really helped me and understood the issues I have to face on a daily basis and showed me some amazing products that will help me thrive in my chosen academic study’s. Lovely comments, thank you. Your feedback is essential to us. “I was really quite nervous about this ‘assessment’ but the assessor made me feel very at ease from the beginning. Open University. BA (Honours) Business Management. “I would like to say thank you so much for the help and understanding at the assessment, I was unsure what the expectations were but I was put at ease straight away and it felt like a chat with a friend. Thank you for your feedback, this is greatly appreciated. “I had my assessment with an adviser who was pleasant, patient, and professional, explaining in detail the reason for the assessment. University of Salford. Adult Nursing. Thank you for your feedback. It is very important to us. “What a brilliant assessment. I have come out of it knowing I can do this. The assessor was so helpful, reassuring and supportive. Offered lots of tips and advice on how to help me study. Showed me some of the recommended software and how to use it and how it might help. I was so apprehensive about the appointment but now I feel really positive and cannot wait to start my course. The assessor was lovely,delightful and friendly. She told me I could take a break whenever needed, but she was so nice I didn’t need to. The assessor acted like they wanted what was best for me, to help me progress. I suffer from anxiety and depression but I will definitely say to anyone in a similar position, please do not worry, this assessment was very smooth and easy. Its like chatting to a friend it felt so natural. With tips, advice and the recommendations given. Your feedback is much appreciated, many thanks. “What a simple easy assessment. When I heard the word ‘assessment’ I thought… oh no not another one as being like a rabbit in headlights with the process. How wrong was I? The informal chat was the most mind easing thing ever. My assessor went though all the possible options for me and went though how they would benefit my education. We had a talk about my initial assessment and brought it back to real life scenarios not just university work. My assessor let me try the equipment out and went above and beyond to ensure that they had the correct software for my specific course. Broadbent & Co were so quick to respond and managed to get me an appointment within 2 days of DSA getting back to me! My assessor made me feel at ease and made me feel confident about starting assignments. My assessor actually listened to my needs and put things in place that she thought would be beneficial. “Broadbent and Co provided a very friendly and positive environment in which to discuss my needs. My assessor made me feel comfortable and offered useful suggestions that had not occurred to me and have since proved invaluable to me in coping with university life. If I had a concern, they provided excellent communication over email, responding promptly. University of Reading. Ba Art & Film. Thank you for your feedback. Glad to have made a difference in your "university life". “The assessor was absolutely fantastic, very welcoming, kind and patient, I felt at ease and not worried when I was unsure on the questions asked as they had brilliant alternatives on asking questions. They were very thorough with me. Your feedback is appreciated. Glad to be of assistance. “I would like to say a very big “Thank You” to the assessor for the time they took to go through my assessment. The assessor was friendly, kind and most of all very understanding to my needs. They explained the process to me in a way that I was able to absorb and understand. I felt nervous as I never knew what to expect but they made me feel very reassured that they were there to help me with my learning disability and there to help me get the tools that I needed to help me with my studies. University of Northumbria at Newcastle. Social work degree. Glad to be of service, thank you for your feedback. “My assessment with the assessor went very well. It was at a pace suitable for me to understand and I didn’t feel rushed when answering. I was made to feel supported and didn’t feel judged at all. I would recommend this facility for any student who requires a DSA assessment. Your feedback is appreciated, thank you. “I had my assessment a while ago now for my Master’s degree and more recently a review as I have transferred to a research-based course. My assessor was so nice and helpful. As a mature student, I had no idea I needed this level of help but my assessor was fantastic in explaining everything and taking me through the assessment process. Thank you for your feedback. Glad to have assisted in your studies. “I was really nervous about the whole process of being assessed and talking to anyone about the equipment that I needed – Broadbent and my assessor really helped diminish any worries that I had by explaining everything that I needed to know and making me feel comfortable in explaining my study needs. 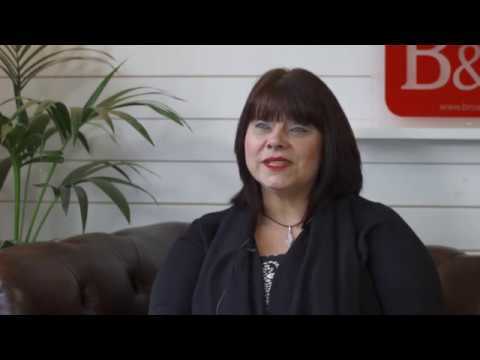 “I am so glad I chose Broadbent & Co for my needs assessment! From the initial phone call to arrange an appointment, I noticed they were very helpful and accommodating to offer me a suitable time to fit in with uni which was reassuring. To be honest I was not looking forward to the needs assessment, as I found the whole dyslexia process lengthy and a real challenge and with all these concerns I unsure what this next stage would bring. I was really nervous about my DSA assessment because I didn’t know what to expect – I thought it would be like a test- but the assessor was so helpful and explained that they were there to help me get the equipment and support I needed to achieve my degree. I got more from the assessment than I was expecting to. I was given some really useful software, assistive technology and advice. The assessor was also very helpful at following up on any issues I had with the equipment/support I was provided. Definitely don’t be worried and get your DSA assessment done because it’s so helpful. Prior to my assessment, I was incredibly nervous and did not know what to expect. The assessor quickly put me at ease and explained the process and details in a calm and timely manner. We later discussed any worries and issues I had and formulated a plan to help combat this. I had a positive experience with the company and would highly recommend them. My experiences with Broadbents can only be defined as excellent. The idea of “Going the extra mile” may be a Roman one, but this company prove it in the way they care, and carry with empathy and professionalism for their customers. I would always recommend them, they were there for my BSc, MA and now an MPhill/PhD. They cannot do enough to help. Thank you. The assessor was great, made me feel at ease and comfortable, even though I was quite nervous about the appointment at first. The help I’m receiving as a result of the assessment is fantastic and really helps me with my academic work. The mentoring support is the most useful, I only wish I asked for help earlier than in my last year of uni. We are happy you found this experience positive and study outcomes supportive. My assessor knew exactly what questions to ask to find out what my needs are. I was also very surprised at the range of options there are to maximise my learning potential and am looking forward to progressing with my degree with the recommended support. My assessor was absolutely excellent and I was genuinely moved by the understanding and recognition shown to how frustrating it is to have the academic ability but not be able to achieve my potential as a result of my disability. My assessment far exceeded my expectations and myself and my partner were extremely happy with the professionalism of my assessor and the depth and breadth of knowledge pertaining to my difficulties. Far exceeded my expectations. Excellent. My assessment encapsulated everything we discussed and was an excellent overall assessment of my needs which will help me throughout my entire degree journey.Thank you for a very beneficial experience which will pay dividends throughout my study. I was very apprehensive about the assessment and being able to have a home visit helped massively and my assessor was everything I could ask for and more. Very impressed Also,a few months into my course a tutor told me about another piece of potentially useful course orientated software. I contacted my assessor and I had the software within a week. For anyone apprehensive about going through the assessment it is very informal and there is so much more to offer in ways of support. Please, if you’re in need of any assistance, please reach out because it’s already changed my life. I had a brilliant assessment. The assessor was very professional, kind, courteous, very sympathetic to my conditions and extremely warm and down to earth. I can actually say that I enjoyed my time with the assessor, which is not what I was expecting as I usually find assessments emotionally upsetting. Thank you to the assessor for all your hard work – I am truly grateful. The assessor made sure I was totally at ease and comfortable, and explained everything efficiently without being condescending. The assessor was brilliant throughout the entire assessment, and I left very happy. Overall a very positive experience. Our experience with Broadbent & Co has been first class from start to finish being an organisation run to the highest professional standards. 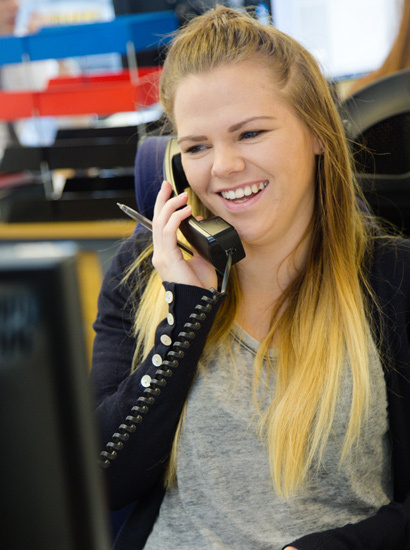 Immediately upon meeting her assessor, my daughter Charlotte was made to feel at ease from the outset with her feeling fully supported and listened to throughout what was a very thorough, concise and engaging assessment conducted by an expert in his field. No stone was left unturned with all Charlotte’s needs being identified and explored. The assessment was solution-driven providing Charlotte with a personalised support package which has proved invaluable to her during her studies at university. I personally was very impressed with the manner in which the assessor conducted the assessment and subsequent report, I knew my daughter was in ‘safe hands’. It was evident that this assessor truly cared and delivered an exceptional service, thank you. Indeed after the actual assessment the support provided by the assessor was on-going ensuring for a smooth transition of support services in a prompt and timely fashion. Nothing was or indeed is too much trouble. Charlotte felt empowered as a result of the friendly, approachable and strategic assessment conducted by the assessor with her feeling reassured as she began her university life. Thank you, Caroline, for taking the time to submit this feedback. The assessor at Broadbent and Co constantly provided outstanding help and support and nothing was too much trouble. The assessor was able to sort out a couple of minor issues with suppliers quickly and the ongoing support was unwavering. The assessor is a credit to your company and has inspired me to do well with my upcoming degree course. My assessor was very patient throughout the assessment. The assessor listened to all my comments and suggested various solutions to help with my problem, all of which were very useful. The assessor was friendly and answered all my questions in great detail with confidence and understanding. Overall, the experience I had at this centre was extremely positive. Thank you for taking the time to submit this feedback. I visited this company on the 1/09/17 and was really impressed with the service I received.. I felt very comfortable and positive about my experience here. The meeting was professional, welcoming and very productive. Thank you for all the help. Thank you for this positive feedback. The help I received from Broadbent and the staff were amazing. They have made sure that I am ready for a university with the help and the support I need. Without DSA and the help from Broadbent & Co, I would have struggled in my university life and I will recommend them. Easy to find at Huddersfield Uni. I was very happy with the assessment today. The assessor was very informative with lots of advice on Apps and Software to assist me. I was pleased how much the assessor wanted to provide me with advice to prepare me for my journey to a successful time at University. Thank you, George for taking the time to leave this feedback. I have to say the assessment process was fantastic. The assessor has managed to help build confidence in my ability to study and overcome the self-doubt you can have when approaching a piece of work. I definitely left the assessment with a totally different mind set towards studying. The assessor was passionate about showing me the different software and apps which are out there. As well different coping techniques and strategies for learning. I would highly recommend this company. Thank you for your kind words Claire. I was a little apprehensive when I received my invitation to attend the assessment and was on the verge of a panic attack when waiting to be seen. Ben the Broadbent & Co assessor was made aware that I was waiting and he came to meet me a little earlier than arranged. Once in the meeting room, Ben made me feel at ease he totally understood what I was feeling and he was very patient as he went through all the help that will be provided; by the end of the meeting, I was totally relaxed and really looking forward to starting my degree. I totally agree that the support put in place is totally invaluable and has made me feel a lot better about attending the course. I am now sure with the continued help of Broadbent & Co I will succeed. Thank you for taking the time to leave this review Martin. Disabled friendly venue and parking. I was not sure what to expect, or what help to ask for, but the assessment was a positive experience, supporting me to understand what help might be useful as I begin my degree. Friendly and professional. Thank you, we glad you found the experience positive and professional. Can’t say anything but nice things about Broadbent & Co. My appointment was at 10 and the assessor came straight away at 10. Lovely service, very friendly, made me feel welcome and comfortable. Very easy to talk to and would recommend anyone to get your assessment done there. I have nothing but good news to say about Broadbent and Co. The staff are friendly, consistent and caring. You can tell they are really passionate about what they do, always rooting for their students. My assessor, in particular, was able to really identify the challenges that I was facing during my studies and was able to tailor my needs to me, not just a general approach used for all students. I have depended on them since my first degree in 2012 and I can say their standard of service has not dropped even a little bit. Thank you for these kind words, Pat. Many thanks, Lara. It was a pleasure to help you out.